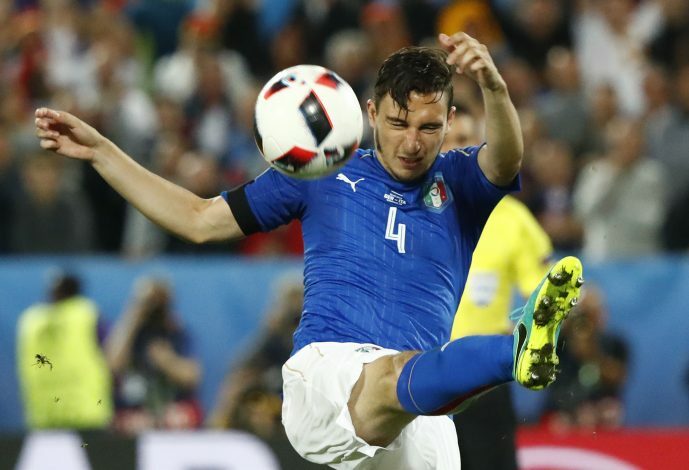 Inter Milan have reportedly sent a representative to Manchester, in order to negotiate a move for Matteo Darmian. The Manchester United right-back been heavily linked with a switch to the Milan giants of late. The club’s president has confirmed an interest in Darmian, and the Nerazzurri will be aiming to seal a move for the player in the January transfer window. The Serie A club are determined to restore their status as one of Europe’s elite clubs, and following the arrival of their new Chinese owners, are ready to spend as much as it takes to get them back to challenging for titles again. Darmian has been identified as a key target for the club, and United have shown a willingness to let him leave. The 26-year-old has fallen out of favour at Old Trafford under Jose Mourinho. He has not made a single appearance in the Premier League, and has appeared only once so far this season – in the club’s 1-0 Europa League defeat to Feyenoord. Darmian has only been at the club for a year, signing for the Red Devils in the summer of 2015. Despite a brilliant start to his career at Old Trafford, he has now lost his place in the side, and had fallen below even Timothy Fosu-Mensah in the pecking order. A move back home for the former Torino defender would appear to be the perfect catalyst to get his career back on track, and Inter are ready to provide the perfect opportunity for him to do just that. According to Italian newspaper Tuttosport, the club sent a representative to Manchester to discuss a potential transfer, which is said to be a loan deal with the option to buy. Inter manager Frank De Boer is said to be fond of Darmian, thanks to his ability to play anywhere across the defensive line.